Since I started this blog, I began to wonder what would be the right way to internationalize it. Some people opt to create a dedicated site for each language and some people develop more sophisticated solutions. I made something quite simple: Flag Me. 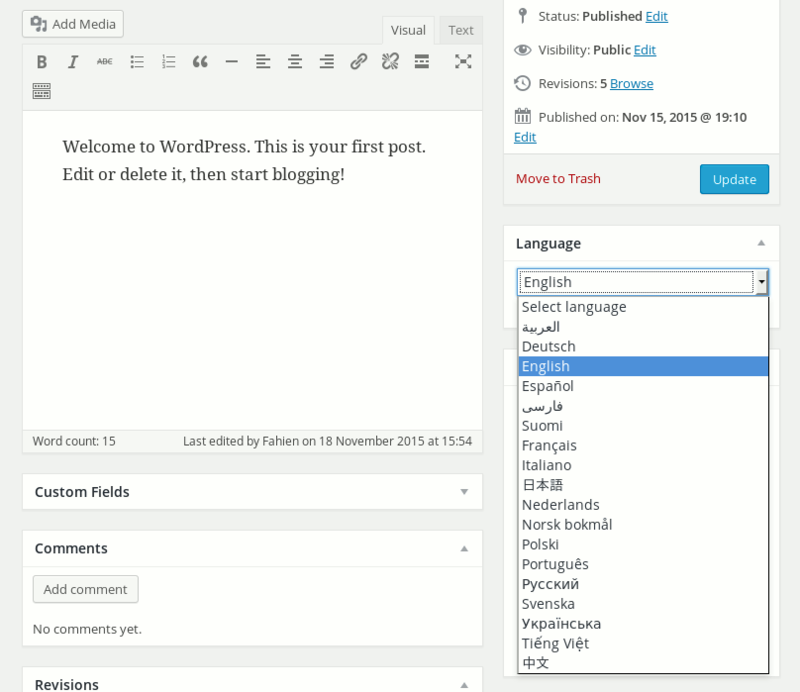 Flag Me is a Wordpress Plugin which enables you to add a country flag before the title of your posts or pages in the sidebar. This makes it easier for visitors to understand the language in which it is written content. If you like the plugin, feel free to support my work donating via PayPal. 1. Upload the whole directory flag-me to the /wp-content/plugins/ directory; 2. 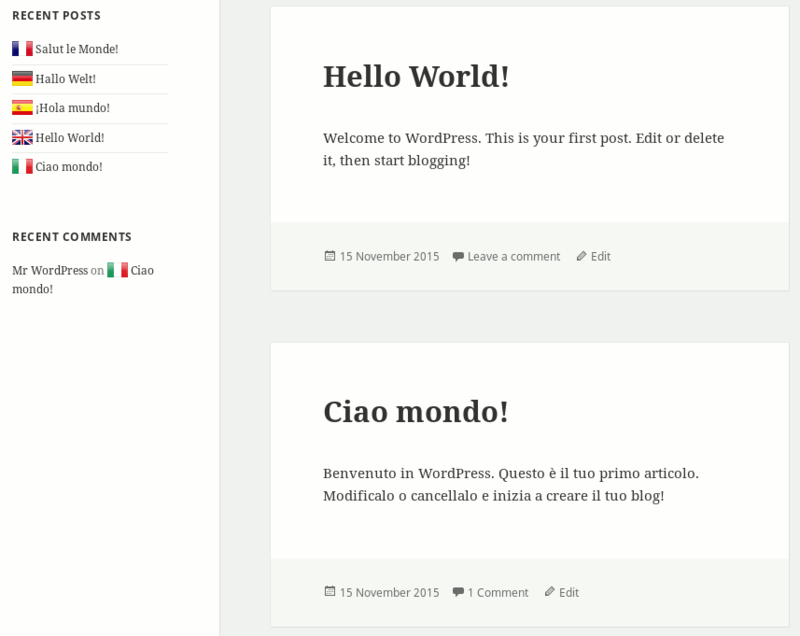 Activate the plugin through the Plugins menu in WordPress; 3. Edit your post and pick a language from the Language Box. Flag Me is released under the GPLv3 License.